With Christmas and New Year come and gone, the winter doldrums seem to really set in. It can seem like spring is years away yet, and as the weather seems to get worse instead of better, it can be agonising to get through the weeks and months before spring sets in again and brightens everyone’s lives. If this sounds like life at the moment, you aren’t alone. Many people suffer from a bit of the winter blues, so here are a couple of great ways you can brighten your days – even if the sun is a couple months off. Hygge, pronounced ‘hoo-ga’ is a Danish concept of cosy living. Imagine big woollen socks, hot cups of tea, your favourite soft throw blanket and soft music with a good book. 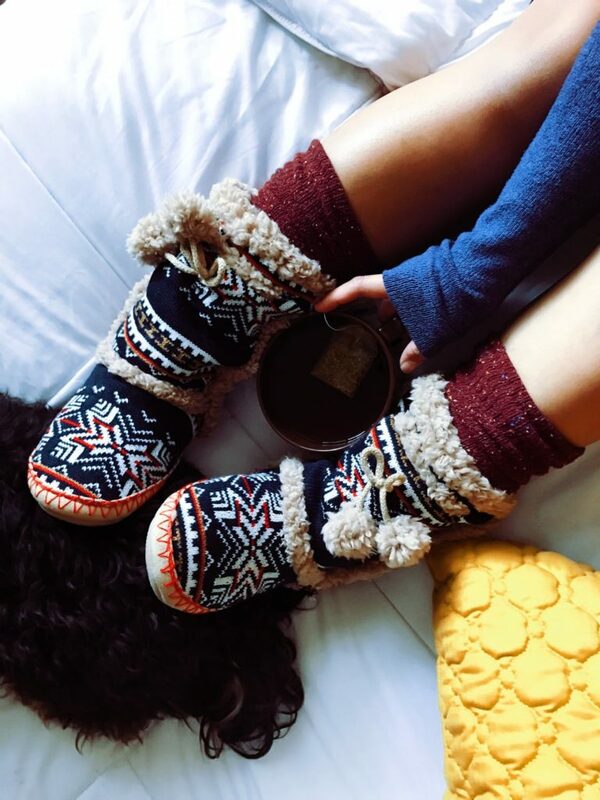 Hygge is all about being as warm and snuggly as you can and celebrating the indoors with good friends. Invite your loved ones round for a heartwarming dinner of stews, soups, homemade breads and biscuits to dine by candlelight. This is the essence of hygge and helps people battle those winter blues in snug, warm ways. Opposite to hygge, there’s always getting outside and enjoying the winter time. While it depends where you live as to what you might be able to do, enjoying winter sports can be a great way to embrace the cold and snow. After all, you can only do these things at this time of year! Hit the slopes, go sledding, ice skating or build a snowman with the kids before heading indoors for a steaming cup of hot cocoa and your favourite feel good movie. There’s so much fun to be had in the winter, you just need to bundle up! If you really want to escape the cold and snow, you can find a good last minute cruise deal easily online to jet off to a far flung place where you will bask in the sun on the top deck before heading down for the exquisite dinners often put on. Many take off to the Caribbean this time of year due to its sun, sea and sand, but other popular options include the Mediterranean, South Asia or even – if you want more of the cold – Alaska. If you’re sick of the monochrome colours of winter you can always brighten up your inside world by bringing more brightness inside. Doing up your living room or bedroom with warm shades of reds, oranges and yellows can not only brighten a space but also make it feel warmer too. It doesn’t have to break the bank either. Textiles can be a generally inexpensive way to inject more life, colour and warmth into a room without dedicating yourself to a total physical overhaul. So if you’ve been struggling with the winter blues, worry no more. Hopefully with some of these great ways to beat that seasonal sadness you’ll be feeling perked up in no time flat. While we can’t change the weather, we can change how we react to it, so give yourself a reason to smile in the cold and try something new today!